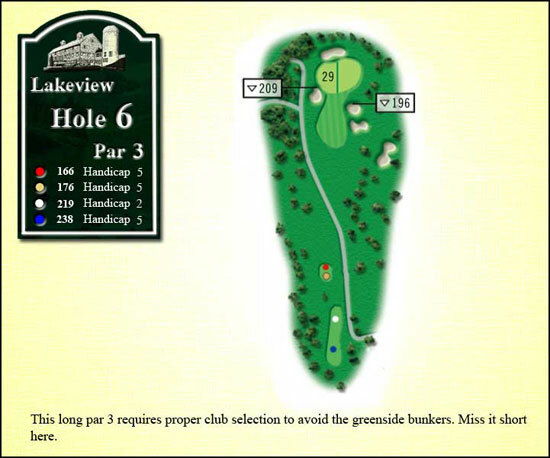 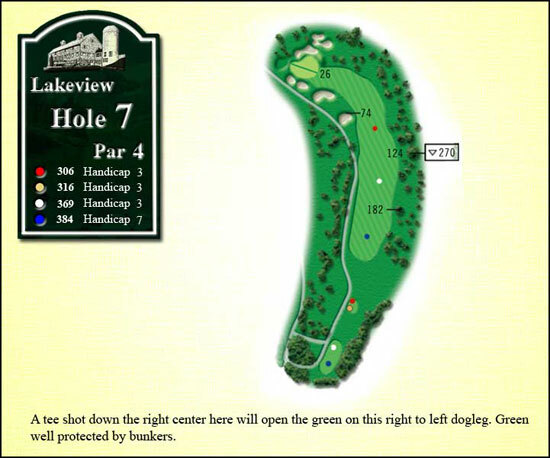 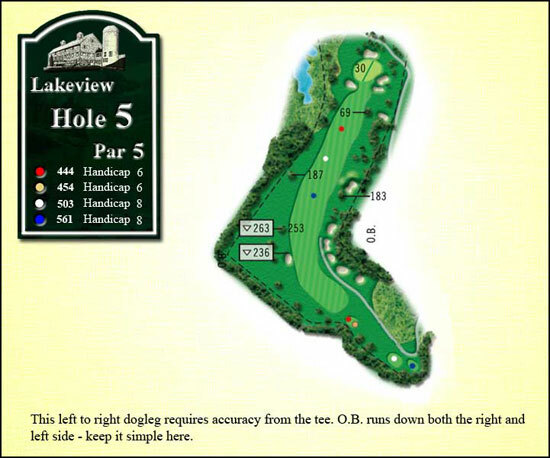 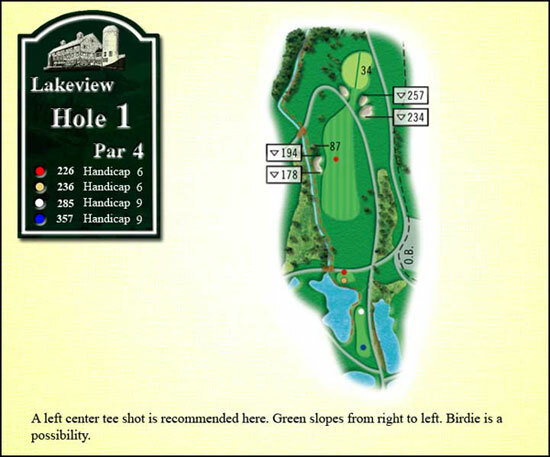 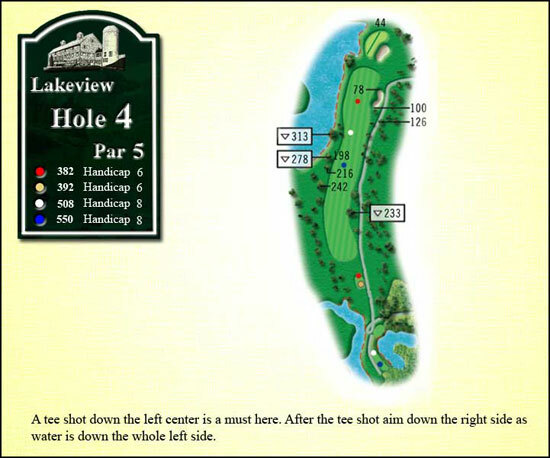 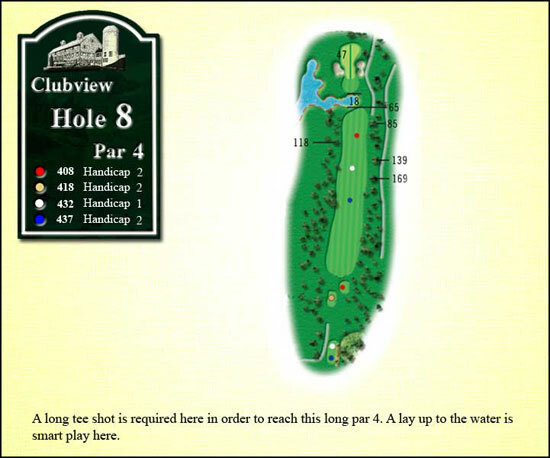 Lakeview has 6 holes where water can become a factor, and features 4 doglegs, which require an accurate tee shot. 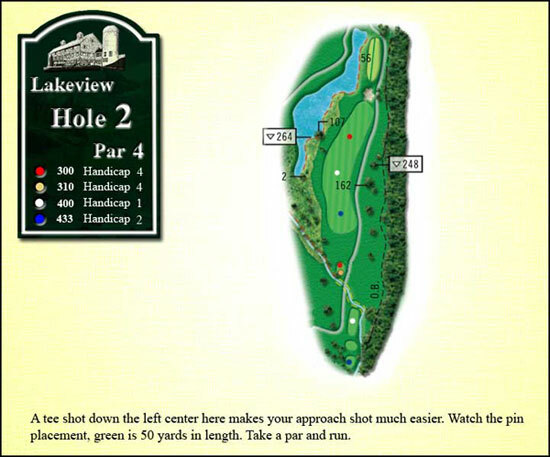 Lakeview #2, a slight dogleg to the right, par 4 which measures 380 yards (middle tees) requires a precise tee shot to the center or left center of the fairway. 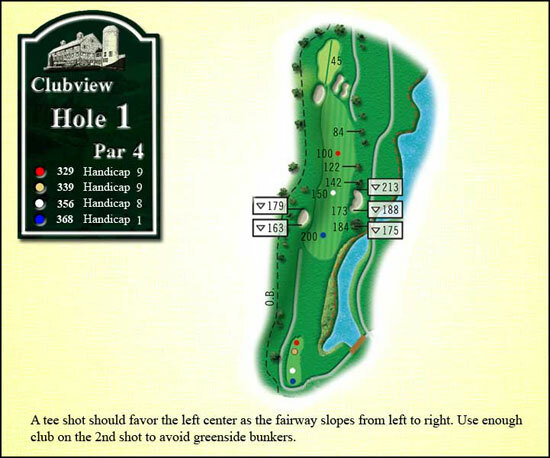 In order to set up a demanding second to a narrow green which is guarded by water and bunkers to the left and out of bounds on the right. 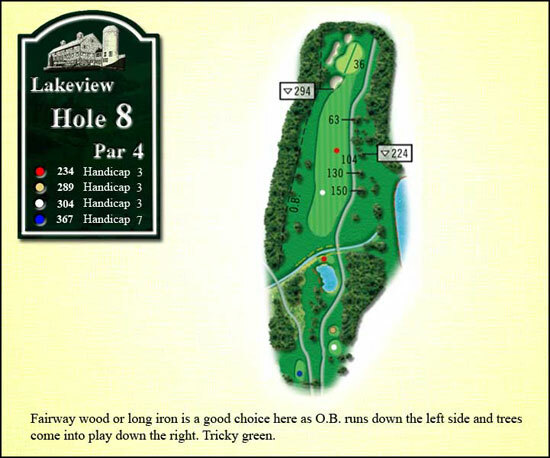 Lakeview #9 finishes with a 124 yard par 3 over water, a very intimidating hole for most players. 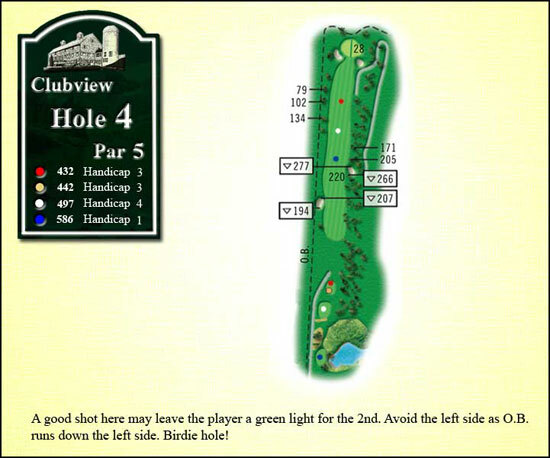 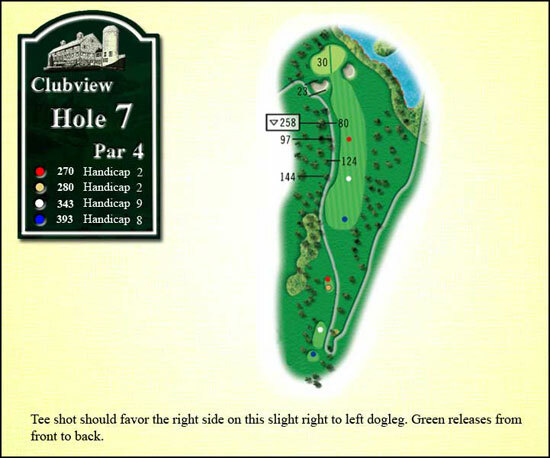 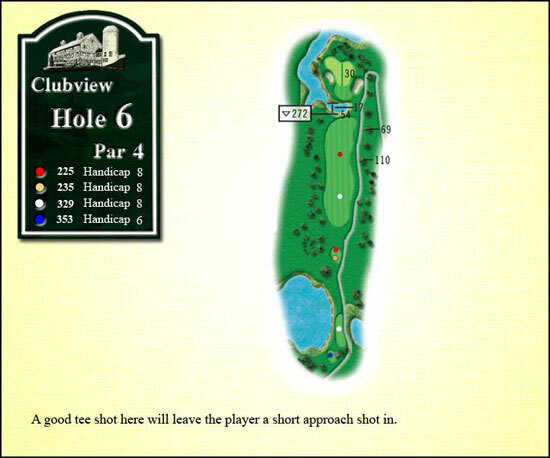 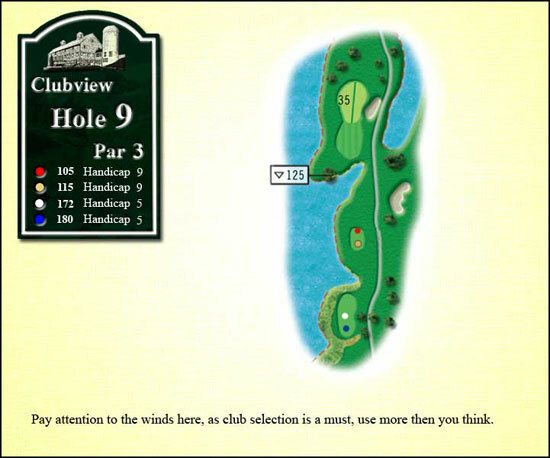 Clubview, our original nine holes, offers players a traditional mix of par 3s, 4s and 5s. 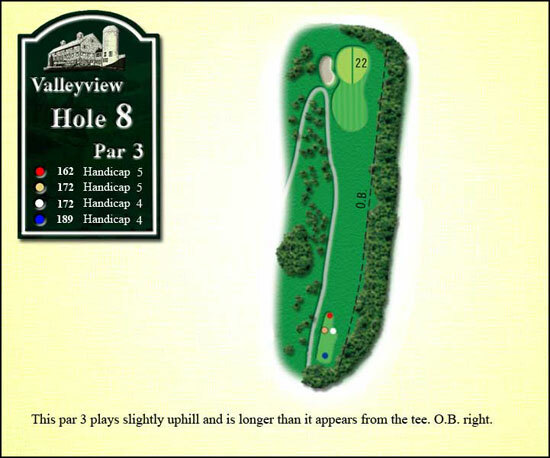 Although with most of the holes, straight away, accurate tee shots are a must with its mature tree lined fairways. 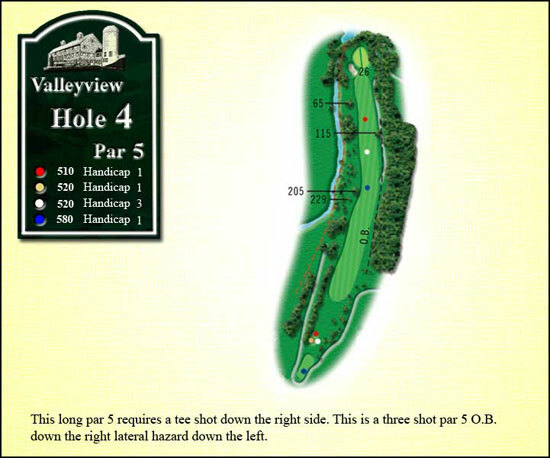 Clubview finishes with two demanding holes, #8 a 432 yard par 4 requires a lengthy tee shot, which will confront the player with yet another lengthy second shot over water to the green. 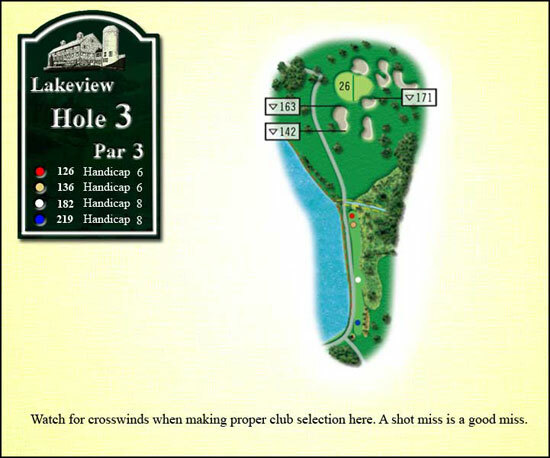 The 9th hole, a172 yard par 3 requires a proper club selection and accuracy, as water surrounds the green. 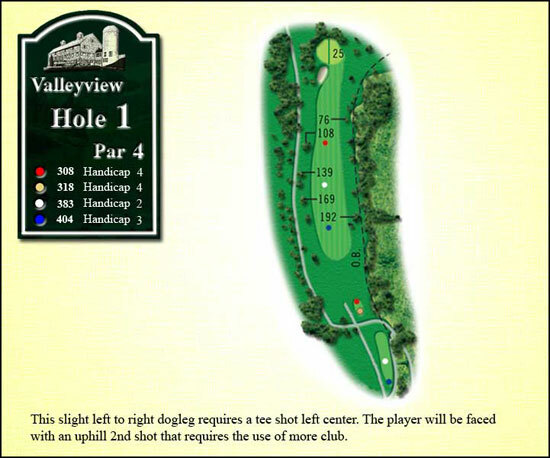 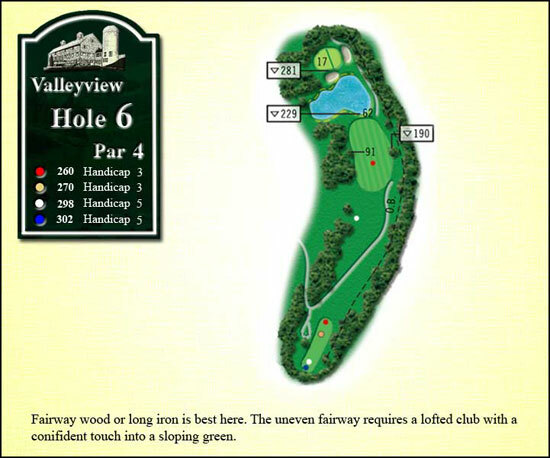 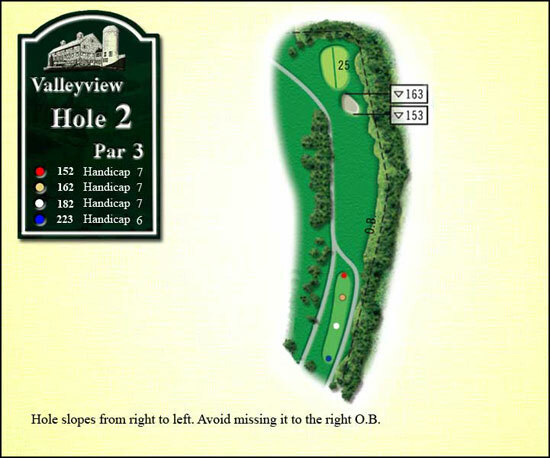 While shorter in length, VAlleyview is our most challenging layout with its hilly terrain, narrow tree lined fairways, and small undulating greens. 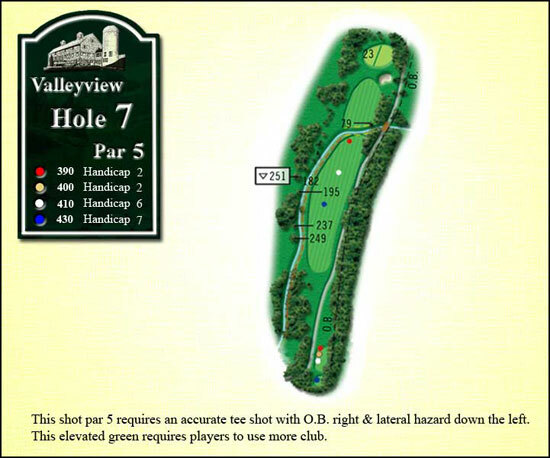 Accurate tee shots are a must, as out of bounds comes into play on 7 of the 9 holes. 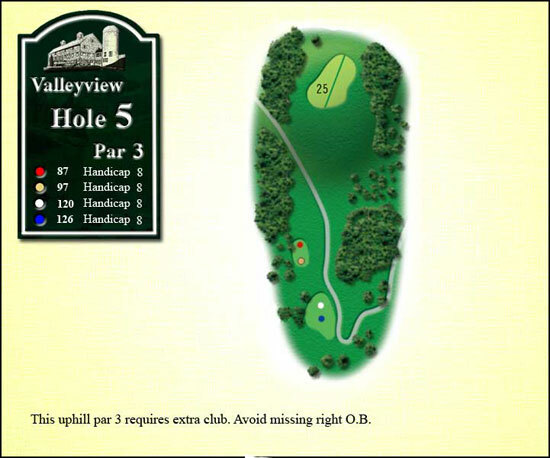 Valleyview finishes with three extremely challenging holes. 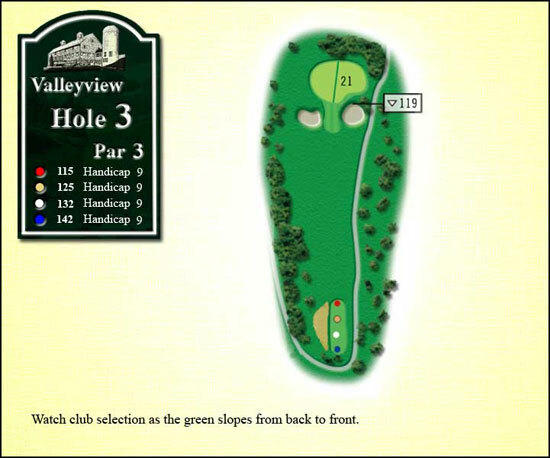 The 9th hole, a 433 yard par 4, with out of bounds to the right as trees guard the left, from a good tee shot the player will still be confronted with a lengthy blind second shot down hill to an undulating green. 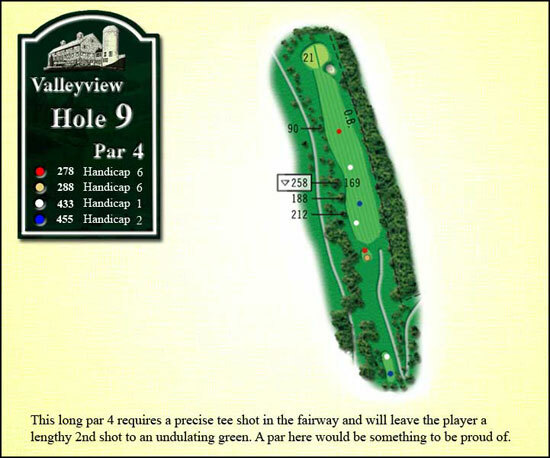 A par here would be something to be proud of.